Edna Landau has dedicated over 30 years of her life to the field of artist management. 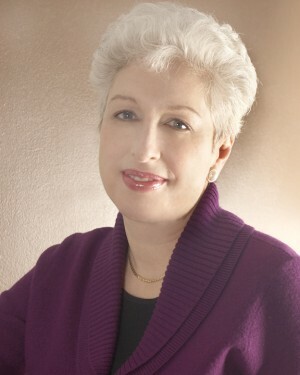 She was a Director of IMG Artists from its founding in 1984 until her departure from the company in October of 2007. Her global vision, passion for the arts and uncompromising work ethic played a major role in launching this unique company, which is now the only truly international performing arts management company in the world. The company currently represents over 500 performing artists, among them some of the most beloved and admired instrumentalists, conductors, dancers, orchestras, world music ensembles and attractions. At IMG Artists, Ms. Landau personally looked after the career of the world's premier violinist, Itzhak Perlman, for 21 years and launched the careers of current musical superstars such as pianists Evgeny Kissin and Lang Lang, violinist Hilary Hahn and conductors Franz Welser-Most and Alan Gilbert. She participated in the international strategic planning that contributed to IMG Artists gaining its current pre-eminent international standing and oversaw its operations in North America. In June of 2008, the Colburn School in Los Angeles announced the creation of a new position for Ms. Landau. In her role of Director of Career Development, she designed a special curriculum intended to broaden the horizons of its students and enhance their preparedness for post-conservatory life. She also offered personalized one-on-one career counseling to the students. Ms. Landau held this position for three years and has continued to offer career advice to its alumni. In September 2013, Ms. Landau was invited to work with students at The Juilliard School as a special career consultant. She greatly enjoys the one-on-one guidance and strategic planning that she offers the students, as well as the seminars and guest talks that are part of her responsibilities. Edna Landau's intense desire to help young performing artists and advocate on their behalf inspired her to write a comprehensive article entitled "Getting Noticed in the 21st Century", which was published in Musical America's 2011 Directory. That association led to the creation of Ms. Landau's career advice blog, "Ask Edna," which was hosted by Musical America for three and a half years and which drew a large international readership each week. The columns remain available on Musical America’s website. Edna Landau is frequently invited to lecture at college and conservatory campuses and to meet with students in career training programs. Since 2008, she has shared her experiences and insights with students at The Oberlin Conservatory of Music, Rice University, The University of North Carolina at Chapel Hill, Carnegie Mellon University, The Longy School, The Juilliard School, The Bard College Conservatory of Music, The National Orchestral Institute, The Academy (a joint program of Carnegie Hall, the Juilliard School and the Weill Institute), Pianofest in the Hamptons, Mark O'Connor's String Camp (New York City), the Imani Winds Chamber Music Festival, and with music lovers at the Akron Roundtable and the Miami International Piano Festival. Ms. Landau also offers consulting services to individual artists and to non-profit organizations such as the Friends of the Budapest Festival Orchestra, which she helped to found as a fundraising arm of the celebrated orchestra. Ms. Landau received her B.A. in Music and M.A. in Musicology from City College and the City University of New York, preparing her well for her ultimate career choice. She was on the faculty of the prestigious High School of Music and Art in New York for five years, during which time she gained her first experience nurturing young aspiring performers and guiding them on the challenging path to professional careers. Longing to be more closely associated with performing artists, she became Assistant to the Director of the non-profit management agency Young Concert Artists in 1974. In 1979, she joined up with Charles Hamlen to launch Hamlen/Landau Management, a unique agency that was dedicated to the representation of extraordinary artists and to extending to them and to the clients that would present them an unparalleled level of service and integrity. The company quickly gained recognition and attracted the attention of International Management Group's Chairman, Mark McCormack, who acquired it in 1984 and re-named it IMG Artists. Edna Landau's many years of dedication to the arts and the field of arts management have been the subject of a CNN documentary on their series entitled "Movers", broadcast internationally in the year 2000. She was also featured in New York Magazine's May 15, 2006 issue entitled "The Influentials" in which she was described as " the intensely coveted, hugely devoted grande dame of New York managers who inspires a rare level of trust and commitment from her clients." In January of 2008, the International Society of the Performing Arts awarded Ms. Landau their International Citation of Merit, recognizing her Lifetime Achievement in the performing arts. The International Artist Managers' Association (IAMA) followed in November 2016 awarding her Honorary Life Membership for a lifetime of dedicated work in artist management. From 2009 to 2015, she was proud to be a member of the Board of Directors of Chamber Music America.